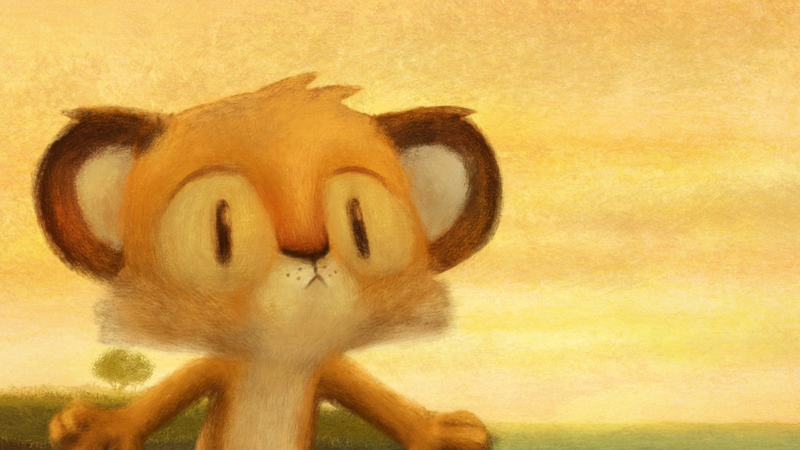 A collection of new short animations designed to appeal to young children. They express colourful, exciting and easy to follow stories, either in English or with no dialogue. On a sunny spring morning, a small mouse decides to make his dream come true, quite a crazy dream: flying with swallows. A little tiger decides to take a long journey in search of his stripes. A Girl and Cat are playing checkers. The cat loses over and over. But when a train goes into a tunnel, surprising things happen. Miriam and her family head to the lake to go camping. Naturally, the chicken is along as well! While all of them are slumbering peacefully after a wonderful day of nature, with swims in the lake and grilled sausages, the restless chicken makes the acquaintance of spooky night creatures. In a large forest where single-coloured birds live, everyone has found their place in a tree that looks like them. But what happens when a bird has two colours? Matilda can’t get to sleep and starts playing with her bedside lamp until the lightbulb finally burns out. She finds herself plunged into darkness! She soon overcomes her fear and, using her torch, starts exploring her room in this new light, and discovers all the magic of the night. Two little creatures chase each other around the busy streets of Toyko as they react a game that has lasted hundreds of years. Age: 4+ / Total duration 63 mins approx.